If you haven’t tossed your jacket into the bottom of your closet, it’s about time you do. The season for warm weather is among us and even though we must deal with the fluctuation of Michigan weather, outdoor activities are a must! One of the hottest attractions during the spring and summer time is Cedar Point. 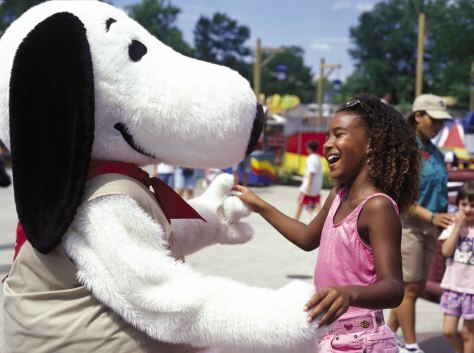 Whether you are going on a family trip or a group excursion, Cedar Point is a great opportunity for people to spend the day outdoors in the warm weather. Don’t like roller coasters? No problem. Aside from roller coasters you have Soak City (water park located in Cedar Point), tons of live entertainment such as bands and performances, and Cedar Point’s private beach. What’s new at Cedar Point in 2015? Rougarou: Out with the old and in with the new! Last year Cedar Point retired the Mantis and this year is introducing a new ride called Rougarou, the first floorless ride. Hotel Breakers: This year Cedar Point’s infamous hotel will complete its two year renovation project. Guests will enjoy new restaurant options such as the Surf Lounge bar and a Starbucks. Included will be a new entrance, exciting new room decorations, and many other amenities! Lakeside Pavilion: For groups visiting Cedar Point with 50 or more people, this option will definitely be a good fit. The Lakeside Pavilion will now have a more open entrance near Planet Snoopy and will be a great meeting option for large groups (for lunch or other gatherings). Check out CedarPoint.com for other options and updates. Cedar Point’s opening day this year is on Saturday, May 9th. And remember to check Trinity Transportation’s Cedar Point Charter for only $79. This includes a Cedar Point ticket and transportation to and from the park.